New York’s City Hall has stood, majestic, since the start of the War of 1812, its design by Green-Wood resident John McComb, Jr., little changed save an Alabama limestone cladding added in the mid-1950s over the original buff sandstone rear facade and the front of Massachusetts marble. 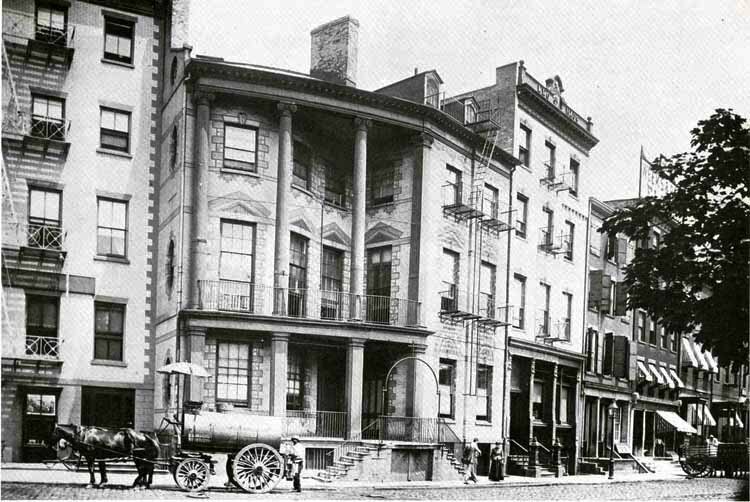 McComb’s name is seldom recognized today, his only other surviving creations in Manhattan being Gracie Mansion (1799), the Mayor’s official residence now situated in the north end of Carl Schurz Park at 89th Street and East End Avenue, Castle Clinton (1808), the fort at the Battery and Hamilton Grange (1802), Alexander Hamilton’s country estate recently moved to yet another site in St. Nicholas Park in substitution for its original nearby emplacement. McComb (1763-1853) had a distinguished career in New York and Princeton, NJ. 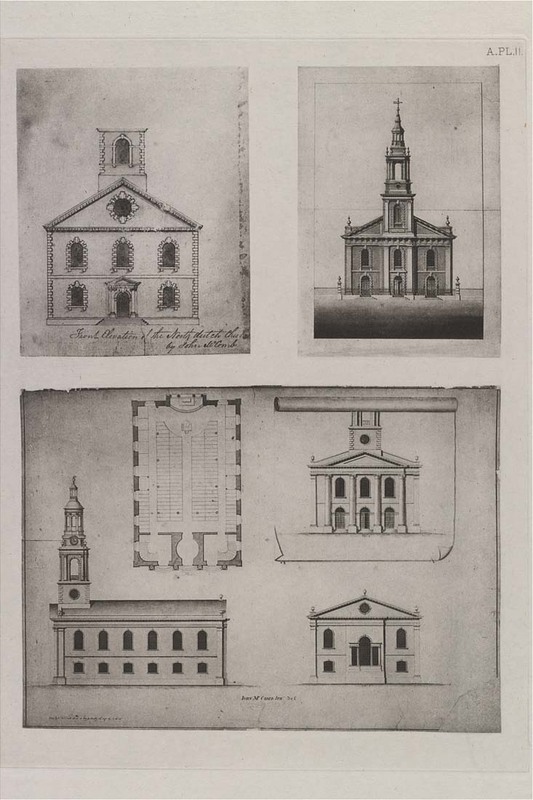 Besides residences and churches, he designed lighthouses at Montauk, NY, Eatons Neck, NY and Cape Henry, VA all three of which survive to this day. 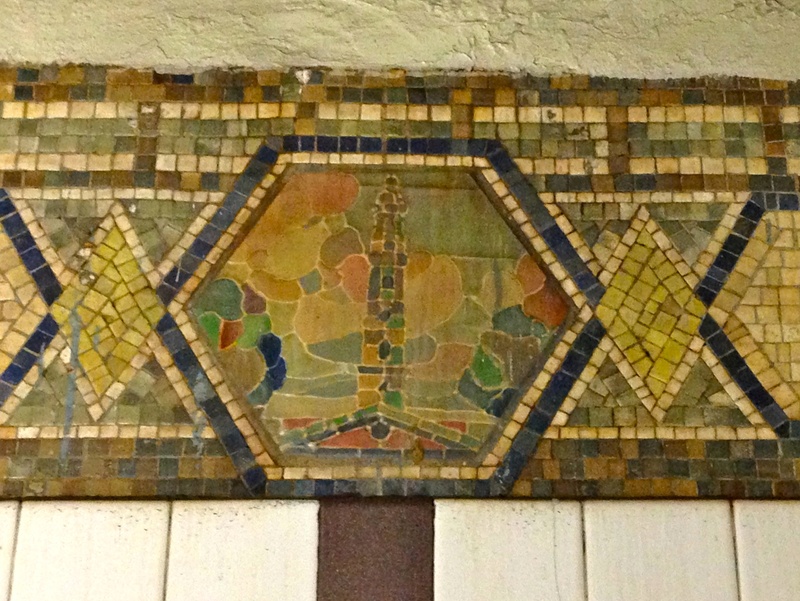 A peculiar palimpsest of one of McComb’s most magnificent designs sits on the corner of Canal and Laight Streets, though, hard by the southerly side of the Holland Tunnel entrance. The roar of the truck traffic and stench of fumes overwhelm one’s senses as one stands by a simple blue-green street sign. St. John’s Lane survives to this day, paved with Belgian block, a narrow two-block long thoroughfare connecting Canal with tiny Beach Street. Until 1918, the lane ran along the rear of St. John’s Chapel, a Trinity Parish Episcopal Church whose membership in the early 19th century was select and upper crust. 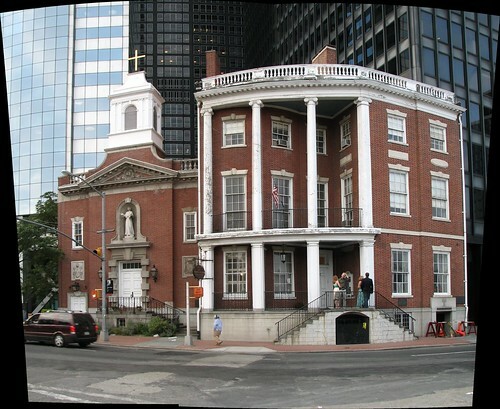 One of McComb’s most magnificent homes still stands at Battery Place: Here is The Isaac Watson House, built in 1799 and used for many decades as the Shrine to Saint Elizabeth Seton who had lived there with her family as a girl. Here is the house many decades after its construction. 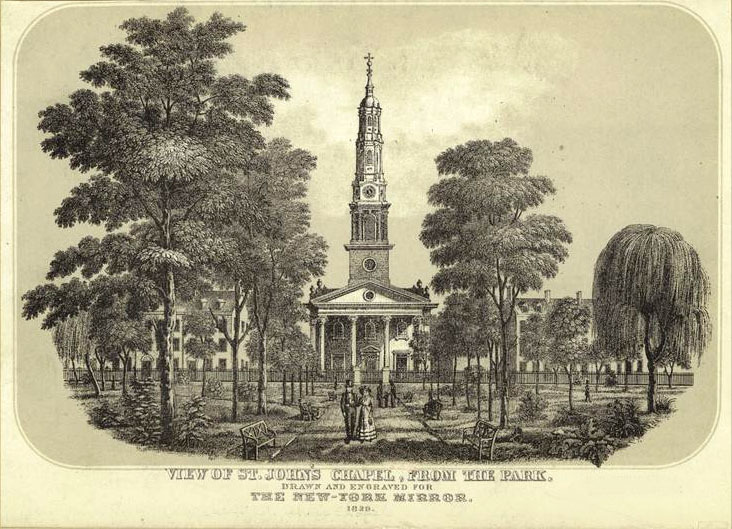 Here, now, is the St. John’s Chapel in all its glory, inside and out, with views of the park in the days when City Hall Park (then know simply as City Park) was the only significant public (and not so safe!) green space in town. 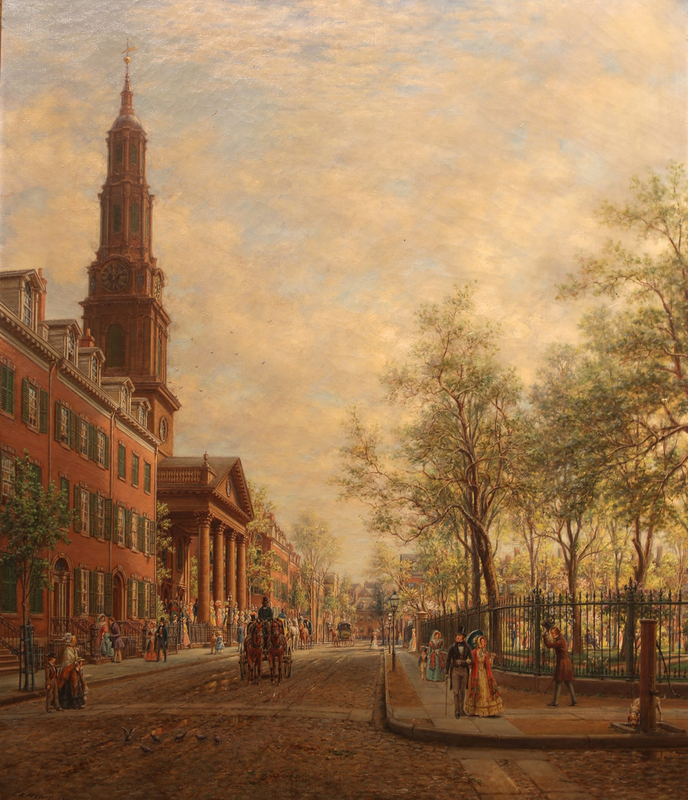 Society moved uptown gradually in the 1820s, 30s and 40s, first to Bond Street, Washington Square and Astor Place, then further north to Union Square and Gramercy Park, thinning the ranks of the church quite dramatically. 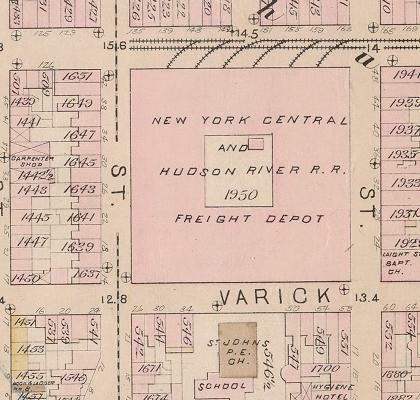 Gradually, the nieghborhood filled with warehouses and factories, and in 1867 Trinity Parish (which owned both the park and the church) sold it to “Commodore” Cornelius Vanderbilt’s Hudson River Railroad for a massive downtown freight terminal. The undesirable influences of grade-level freight operations spread in every direction, and a neighborhood of once patrician dwellings was converted to a crazy quilt of ramshackle buildings and giant lofts. Here is a photo taken as the park was demolished, leaving the dignified Chapel an orphan in time. 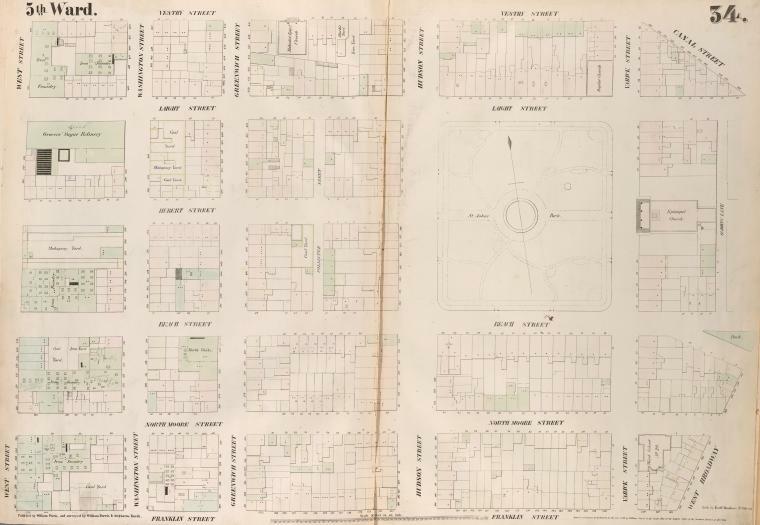 Here is a map of the environs after the freight terminal was constructed. The darkened area on the right side of the termnal site is the church, and behind it sits St. John’s Lane. 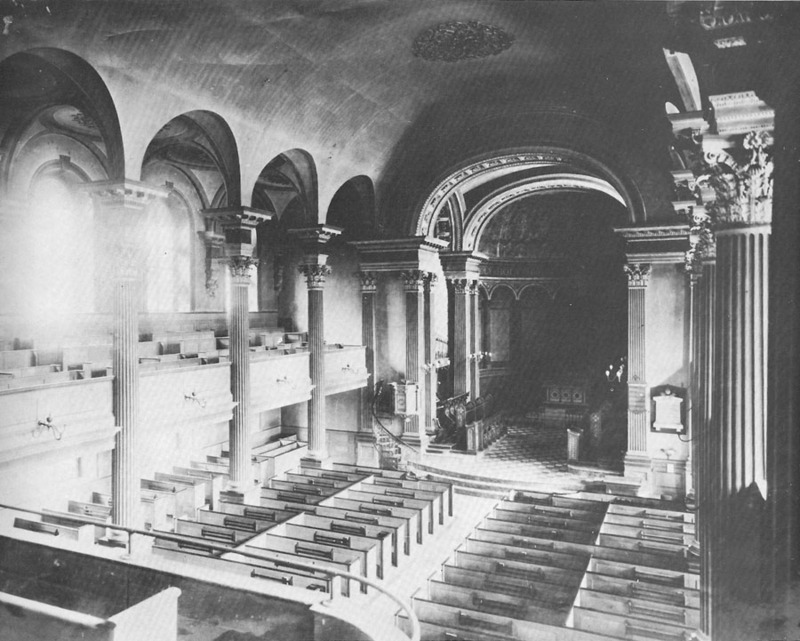 St. John’s congregation left for good in the 1890s and the structure was torn down in 1918. It was cleared during a road-widening scheme for New York City’s Varick Street.. one highly controversial at the time. City officials were cognizant of the landmark importance of the old steeple and wished the portico to remain, projecting into the widened street and vaulting the flanking pedestrian sidewalk. Ever aware of maximizing parish income from its extensive real estate holdings, Trinity Parish instead decided to demolish the building and put the site to other income-producing purposes.